Speaking at the restricted session of the SCO Summit in Qingdao, PM Modi also coined a new acronym for SECURE: 'S' for security for citizens, 'E' for economic development, 'C' for connectivity in the region, 'U' for unity, 'R' for respect of sovereignty and integrity, and 'E for environment protection. Stressing on strengthening regional connectivity within the neighbourhood and in the Shanghai Cooperation Organisation (SCO) region, Prime Minister Narendra Modi on Sunday said that India was committed to extend full cooperation to a successful outcome of the Summit. 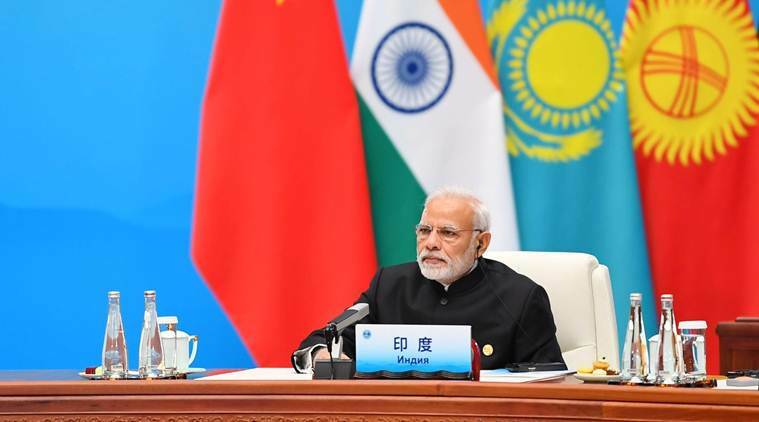 Speaking at the restricted session of the SCO Summit in Qingdao, PM Modi also coined a new acronym for SECURE: ‘S’ for security for citizens, ‘E’ for economic development, ‘C’ for connectivity in the region, ‘U’ for unity, ‘R’ for respect of sovereignty and integrity, and ‘E for environment protection. “We have again reached a stage where physical and digital connectivity is changing the definition of geography. Therefore, connectivity with our neighbourhood & in the SCO region is our priority,” Modi said. Adding that only six per cent of foreign tourists in India are from SCO countries, Modi said this can easily be doubled. “Increasing awareness of our shared cultures can help boost this number. We will organise a SCO food festival and a Buddhist festival in India,” he said. Talking about Afghanistan as “unfortunate example” of the effect of terrorism, Modi said he hoped the brave steps towards peace taken by President Ashraf Ghani will be respected by all in the region, apparently referring to a cease-fire announced by the Afghan leader for the Eid festival. “All parties in the region should respect the sentiment with which (Afghan) President Ghani has taken courageous steps for peace,” Modi said. He said it was “our common responsibility to ensure that reasons that threaten Afghanistan’s sovereignty and security are not repeated”. This is the first time that the Indian prime minister is attending the SCO summit after India along with Pakistan became full-fledged members of the grouping, jointly dominated by China and Russia, which has been increasingly seen as a counter to NATO. Modi earlier had a bilateral meeting with Chinese President Xi Jinping and reviewed the progress of the implementation of the decisions that the two leaders had taken during their informal summit in Wuhan last month. Besides Xi, the PM also met SCO General Secretary Rashid Alimov and Uzbekistan President Shavkat Mirziyoyev. 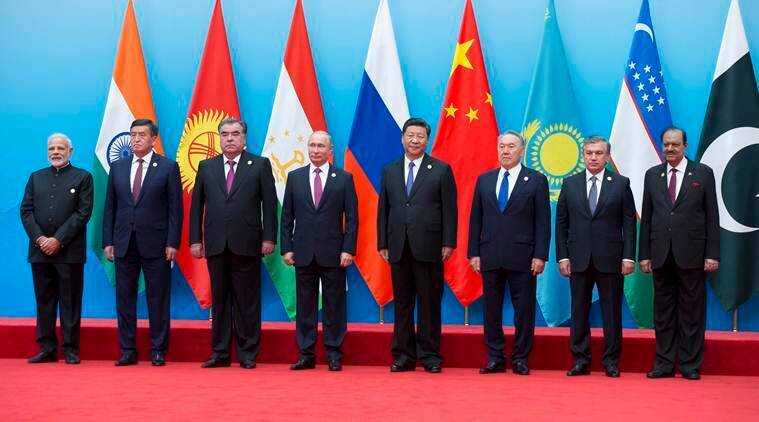 The SCO founded at a summit in Shanghai in 2001, currently has eight member countries that represent around 42 per cent of the world’s population and 20 per cent of the global GDP.